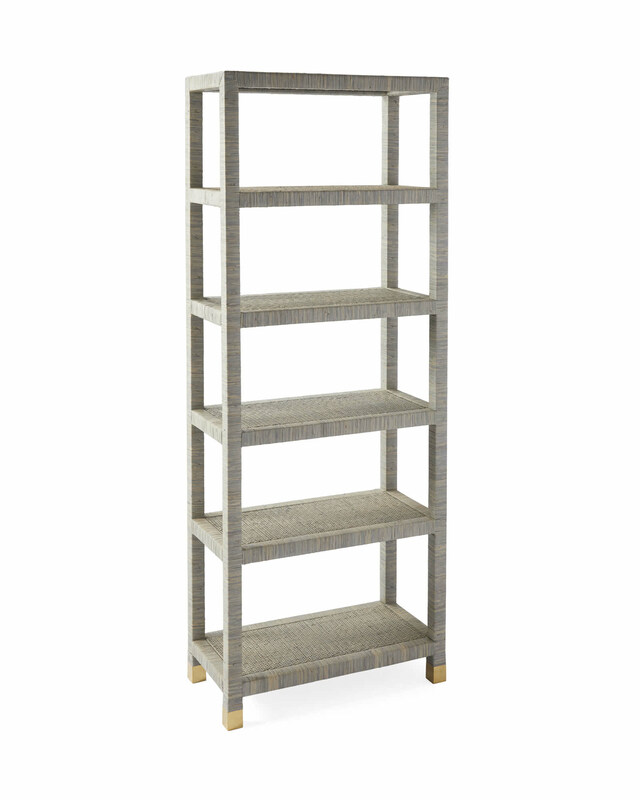 Balboa ShelfBalboa Shelf, Mist alt="Balboa Shelf, Mist"
Print We love the way rattan can elevate a room without a lot of fuss. 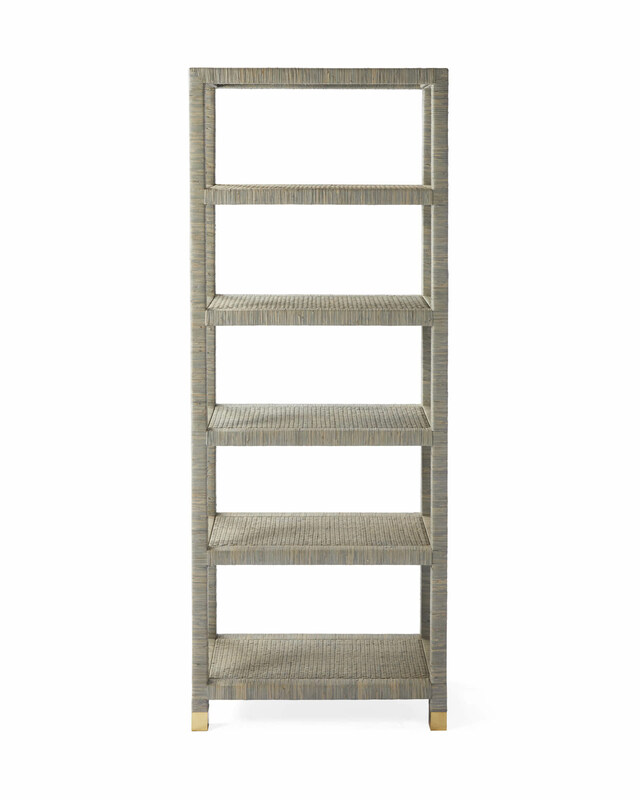 Here, a solid hardwood frame is hand-wrapped in rattan to achieve just the right texture and variation in tone. Brass end caps on the feet are a beautiful finishing touch. 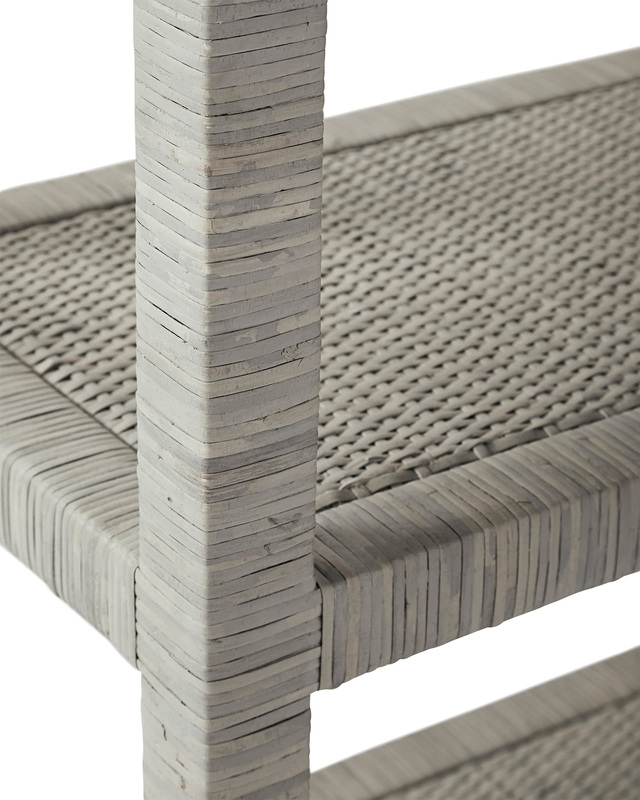 Handcrafted of solid hardwood and engineered wood, and hand-wrapped with rattan. Brass end caps on feet. Expect natural variations in tone that make each piece more unique. 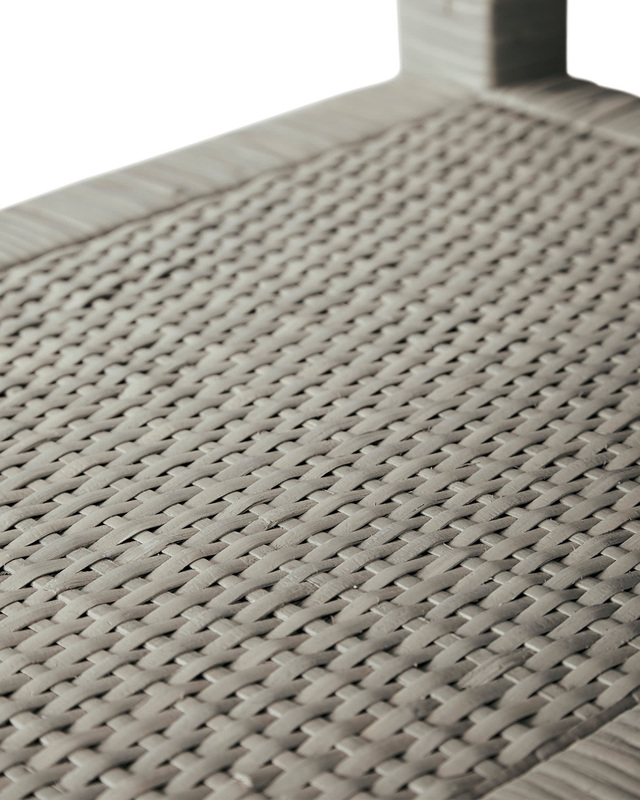 Our exclusive design is available in two finishes: Natural has a beautiful warmth, while Mist captures rattan’s nuanced depth. 31”W x 16”D x 82”H overall.